They are extremely thorough, professional and responsive. Espen Robak is President and founder of Pluris Valuation Advisors LLC and a nationally recognized expert on intellectual property and business valuation, restricted and illiquid securities, securities design, levels of value, and discounts for lack of liquidity. Pluris’ practice includes portfolio valuations for investment funds and financial institutions, as well as a broad range of financial reporting and tax opinions for public and private companies. Mr. Robak is a frequent contributor to books and professional journals on valuation, accounting, and taxation topics and his commentary has been quoted in the Wall Street Journal, Financial Times, The New York Times, American Banker, Bloomberg, Absolute Return, and Accredited Investor, among others. He is a columnist for Wealth Strategies Journal and an editorial advisory board member for Trusts & Estates. Mr. Robak’s career has been focused on the valuation of, and research on, hard-to-value, illiquid, and distressed securities, primarily: structured finance, including auction-rate securities, restricted stock, warrants, convertible debentures, SPAC securities, and equity swap transactions. Mr. Robak has provided valuation services for portfolio valuation, stock-based compensation and other financial reporting purposes, transaction fairness, estate and gift tax, corporate and personal income tax, employee stock ownership plans, litigation support, and other purposes. Mr. Robak’s business valuation experience also encompasses intangible assets and intellectual property valuations, assignments involving the allocation of value between several classes of stock, and the valuation of derivative and hybrid securities. 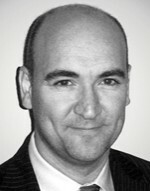 Prior to forming Pluris, Mr. Robak was Senior Vice President of FMV Opinions, a business valuation firm, and directed the firm’s restricted stock and blockage discount practices, including directing The FMV Restricted Stock Study, a published database of private placement transactions, as well as several publications on private placements, restricted stock, and marketability discounts. Mr. Robak has earned the Chartered Financial Analyst designation and has a Masters in Business Administration and a Bachelor of Science degree from the University of Oregon. “Committee Report: Valuations” Published in Trusts & Estates, November 2009. “Fair Value Is Here To Stay” Published in CPA Journal, October 2009. “Fair Value of Illiquid Securities: Are We There Yet?” Published in The Journal of Alternative Investments, Spring 2009. “New Rule 144 – Lower Illiquidity Discounts and Another Boost for the PIPE Market?” Published in Valuation Strategies, November/December 2007. “Litman Audacity” Published in Trusts & Estates, December, 2007. “A “Fair Market” Approach to Valuing Stock Options” Published in Wealth Strategies Journal, October 2007. “The Boards’ Have Begun Finalizing FAS141R and IFRS 3” Published in BVR,August 2007. “”Best Guess’ Valuations Are No Longer Good Enough” Published in Hedge Fund Manager Week, April 26, 2007. “Restricted Securities And Illiquidity Discounts” Published in Trusts & Estates, February 2007. “Lemons or Lemonade? A Fresh Look at Restricted Stock Discounts” Published in Valuation Strategies, January/February 2007. “Discounts for Illiquid Shares and Warrants: The LiquiStat Database of Transactions on the Restricted Securities Trading Network” Pluris Valuation Advisors White Paper, January 22, 2007. “Discounts for Lack of Marketability: Answering Your Latest Questions” Published in Business Valuation Update, December 2006. “Marketability Discounts in Tax Valuations – The new LiquiStat database indicates significantly greater discounts should be taken” Published in BNA Tax Management, December 2006. “Summary: Pluris Opens as Valuation Issues Gaining Spotlight” Published in The PIPEs Report, September 2006. “Estate Planning and the Pending Deal: Lessons from the Merger Arbitrage Market.” Published in the ACTEC Journal, Spring 2005, Vol. 31, No. 4, 338-343. “Comparing the Characteristics and Performance of Private Equity Offering Firms with Seasoned Equity Offering Firms.” Published in Journal of Economics and Management, 2005, Vol. 1, No. 1, 57-83. “The Current State of Marketability Discounts.” Published in the ACTEC Journal, Fall 2004, Vol. 30, No. 2, 125-131. “Marketability Discounts: 4 Dimensions of Risk & Liquidity.” Published in Business Valuation Update, July 2002. “The Case of the Black-Box Model v. Empirical Data.” Published in Valuation Strategies, July/August 2002. “FMV Introduces Detailed Restricted Stock Study.” Published in Business Valuation Update, November 2001. “Marketability Discounts: A New Data Source.” Published in Valuation Strategies, July/August 2001. “Firm Characteristics, Liquidity, and the Pricing of Private Equity Issues” (with Shin-Herng Michelle Chu and George H. Lentz.) Working paper, Current. “Son of Solomon: Tax Court Splits the Baby in DHL v. Commissioner.” Published in Taxes: The Tax Magazine, September 1999. “Lessons from Nestle v. Comm’r: Second Circuit Rejects Popular Trademark Valuation Method.” Published in Journal of Corporate Taxation, Summer 1999. Hedge 2010 – “New Thinking on Effectively Valuing Illiquid Assets” November 8-11, 2010. Financial Research Associates – “Valuation of Hard to Value Securities Conference.” March 22-23, 2010. Financial Research Associates – “Valuation of Hard to Value Securities Conference.” November 17-18, 2008. Greenberg Traurig – “Distressed Investing Conference.” November 14, 2008. Dealflow Media – “PIPEs Conference 2008.” November 12-13, 2008. Securities Industry & Financial Markets Association – “Hedge Funds & Alternative Investments - Summit & Exposition.” June 16, 2008. Financial Technologies Forum – “Hedge Fund Operations & Technology.” April 23, 2008. Finance Leadership Exchange – “Valuing Auction-Rate Securities with Espen Robak.” . March 25, 2008. Financial Research Associates – “The 7th Annual Industry Summit on PIPEs.” January 29-30, 2008. Financial Research Associates – “Mark to Model or Mark to Market -- What Hedge Funds Should Know About FAS 157.” November 27, 2007. Hedge Fund Business Operations Association – “The 7th Annual Valuation of Hard-to-Value Securities and Portfolios - Mitigating Operational Risk Associated with the Valuation Process.” November 15-16, 2007. ASA 2007 Advanced BV Conference – “New Thinking on Discounts for Lack of Marketability.” October 30, 2007. Pension Governance – “Hedge Fund Webinar.” June 28, 2007. Financial Research Associates – “HTV Securities 101/102 Conference.” July16, 2007. Financial Research Associates Webinar – “PIPE Valuations – How do Issuers and Investors Make Determinations?” Online Panel Participant. February 23 2007. National Association of Certified Valuation Analysts, National Conference – “Discounts for Lack of Marketability.” Half-day seminar. Ft. Lauderdale, Florida, December 2005. National Association of Certified Valuation Analysts, Massachusetts Chapter – “Restricted Stock Studies and the DLOM.” Full-day seminar. Boston, Massachusetts, September 2005. American Society of Appraisers, San Francisco Chapter — “The FMV Restricted Stock Study.” San Francisco, California, February 2002. Various organizations — “Cheap Stock: Valuation of Early Stage Companies, Recent Trends and Issues.” 1997 to 2005 (updated annually). Various organizations — “The Current State of Discount Valuations: Is the IRS Gaining or Losing Ground?” 1998 to 2005 (updated annually). Engaged to provide litigation support services in a lawsuit involving a $15 million block of restricted stock. Engaged to provide litigation support services in a lawsuit involving $40 million of Auction Rate Securities. Engaged to provide litigation support services in a lawsuit involving the valuation of stock options on thinly traded stock. Engaged to provide litigation support services in a lawsuit involving the valuation of a significant block of restricted stock. Engaged by the Department of Justice to provide litigation support services in a tax case involving more than $250 million in intellectual properties. Engaged to provide litigation support services in a lawsuit involving the valuation of a significant block of restricted depository receipts on stock traded on the Euronext exchange. Provided expert report for tax valuation case regarding marketability discounts on a 10 percent block of shares in an entertainment industry company. Provided expert report for a lawsuit involving marketability discounts for a block of NYSE-traded shares of Singapore-domiciled company. Engaged to provide valuation report and valuation testimony services in a lawsuit involving the valuation of software. Named expert witness in a lawsuit in San Diego Superior Court involving the valuation of a large block of stock in an Internet company. Engaged by an Internet company to provide valuation report and valuation consulting services regarding damages for trademark infringement and dilution. Named expert witness in a marital dissolution case involving the valuation of an operating business and provided valuation report for settlement purposes. Engaged by taxpayer to provide valuation report and valuation consulting services regarding the fair market value of a $10 million lottery prize.